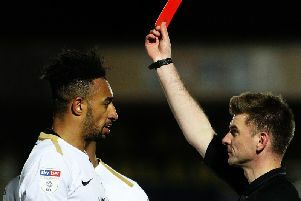 The defender hadn’t played since the 2-2 draw at Oxford at the back-end of January because of injury and subsequent form of fellow full-back, Daniel Pinillos. But Williams was happy to play his part in midfield as the Tykes picked up a point and a clean-sheet against their South Yorkshire rivals. “It’s an important point in the end,” said Williams. “We’ve had a big run of fixtures in a short space of time. “We’ve come out with another clean-sheet against a team that are up there, so we’re happy with that. Williams, who turns 20 at the end of the month, soon found himself in a midfield role after Kenny Dougall was withdrawn because of what resulted in a double-fracture of the leg. “It was an awkward one with Kenny picking up an injury,” continued Williams. “We had to shuffle about. “I’ve had to go into centre-mid and Zeki’s [Fryers)] dropped into full-back. “It took us a bit of time to get into a rhythm but towards the end of the first-half and into the second, we looked like the Barnsley team we’ve been all season. “It’s never nice to see someone pick up an injury. But that means we have strength in depth when people come in and do a job. “I’d like to hope I can keep the shirt for now. 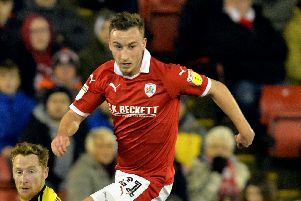 The scoreless encounter secured Barnsley’s sixth clean-sheet in a row, as the club’s unbeaten league run stretched to 18 games. However, Sunderland’s win at the weekend brought the Black Cats within two points of the Reds and a game in hand. “We’ve got this really good team spirit in the dressing room and we can keep the goals out,” he added. “We’re still in a really good position. “It’s an exciting time for Barnsley as a club.